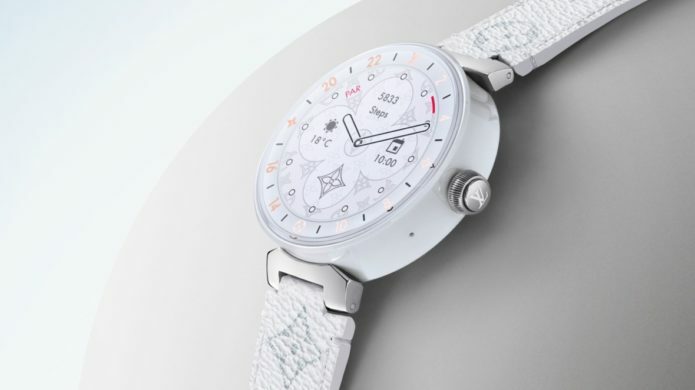 More details about the 2019 edition of the Louis Vuitton Tambour Horizon smartwatch have been unveiled by the luxury fashion brand. Louis Vuitton confirmed a new watch was coming at the launch of Qualcomm’s new Snapdragon 3100 processor, which features inside of the second-generation smartwatch. The new watch will once again run on Google’s Wear OS operating system. The addition of that 3100 processor should help the 300mAh battery deliver a day of watch time and up to five additional days when using the Horizon in watch mode. Watch mode is a new feature where the smartwatch only displays the time and offers limited access to its smart features.